How Will Virtual Reality Move into the Mainstream? Will VR ever move into the mainstream? We think it will, and this is how it will probably happen. Copyright: martinan / 123RF Stock Photo. We’re at the very early stages of VR and its possibilities. This we know. Although gamers have been exploring the technology for several decades. And computer scientists (some via games) have been squirreled away in labs, coding and creating fantastic other-worldly experience – whether they’re art, educational tools or simply darned cool toys for re-imagining anything you can think of. In his keynote, Dream Reality Interactive’s Dave Ranyard recalled Nintendo’s Virtual Boy – a very red piece of kit, released in the 1990s. 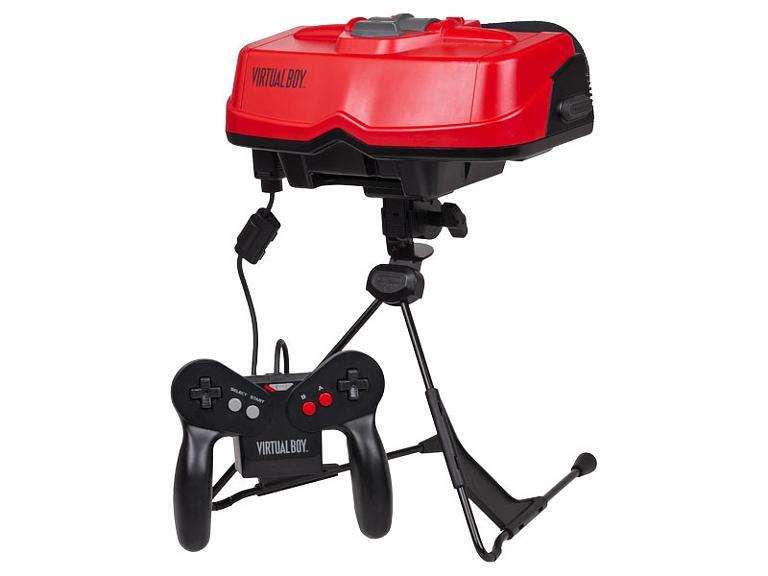 But despite Nintendo’s seeming midas touch at the time, Virtual Boy, was never a commercial hit. Beyond gaming, VR was then, and still is a niche product. Yes, VR headsets are everywhere, even on offer at the petrol pump, but mainstream adoption beyond gaming is a dream that seems a long way off. 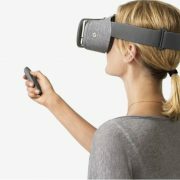 Will VR ever really move into the mainstream – and if so, how? Simulators have long been essential in some industries, airline pilot training for instance. But they’re very expensive. There are other situations where a simulator type experience would be hugely useful, but so far, too expensive, lugubrious or inappropriate to consider. VR could be the solution. When I was working on Amsterdam’s VR Days conference last autumn, I had a fascinating conversation with Arnout van Raaij at Dutch construction company, BAM. A year on from their first encounter with VR in 2015, BAM has integrated the technology into their workflow. It means that every person involved on a build can visit the building – virtually. The sparks can see where the sockets would be, the plumber can check the piping and the architect can try out some light effects. And the client gets to walk around their new building before a single foundation has been dug. BAM reckons their approach would benefit the entire construction industry. Where real-life training is a matter of life and death, VR is an invaluable tool: training surgeons to carry out minute, detailed operations, with no risk to a human. Or war zone preparation where charity workers, journalists or the military no longer need to deal in paper-based or imagined hypothetical situations, now they can be there – virtually. For now, these kinds of VR uses are still only taking baby steps. The opportunities are there – but they’re limited. The game-changer will be when the huge potential for VR training and simulator applications is realized. 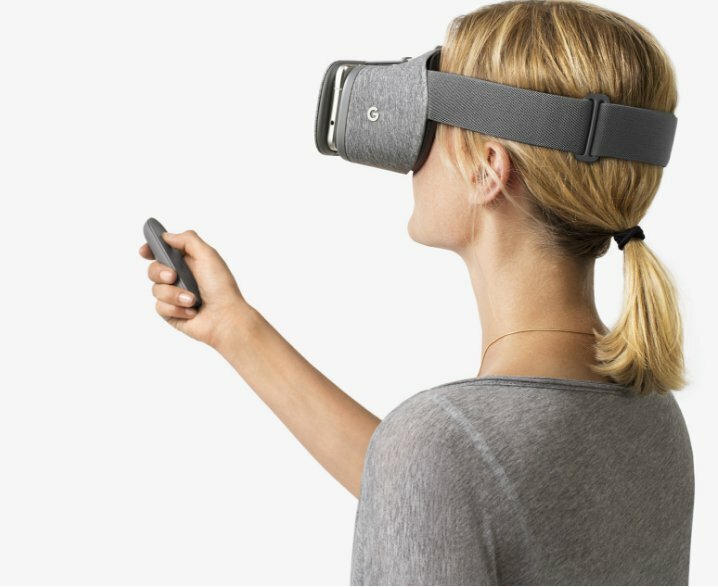 Then VR headsets become common in the workplace – maybe even in every workplace. And once that happens, VR headsets will come home in backpacks and briefcases. They become normalized – integrated into our lives at home, like smartphones or ipads. We’ll use them to check in with friends, do homework or join a meeting. For now, the ultimate goal of VR developers is to allow you to go somewhere cool, do something amazing and take your friends with you. But, I believe, it’ll only bed into our lives – at work and home – once we start using it for the everyday stuff. Then the (endless) opportunities become really interesting. http://www.pastporte.co.uk/wp-content/uploads/2017/04/How_Will_VR_Move_Into_the_Mainstream-1.jpg 498 826 Dinah Lammiman http://www.pastporte.co.uk/wp-content/uploads/2014/12/PastPorteLogo-300x85.gif Dinah Lammiman2017-04-05 21:21:102017-04-05 21:49:30How Will Virtual Reality Move into the Mainstream? Immersive storytelling is an exciting and memorable way to bring history to life but it can be a daunting challenge. We share some tips for getting it right. Bringing the past to life is one of the most memorable and exciting ways of interpreting history. And with all the immersive tech now available, helping visitors to feel, smell and breathe the air of historical events is more and more possible. 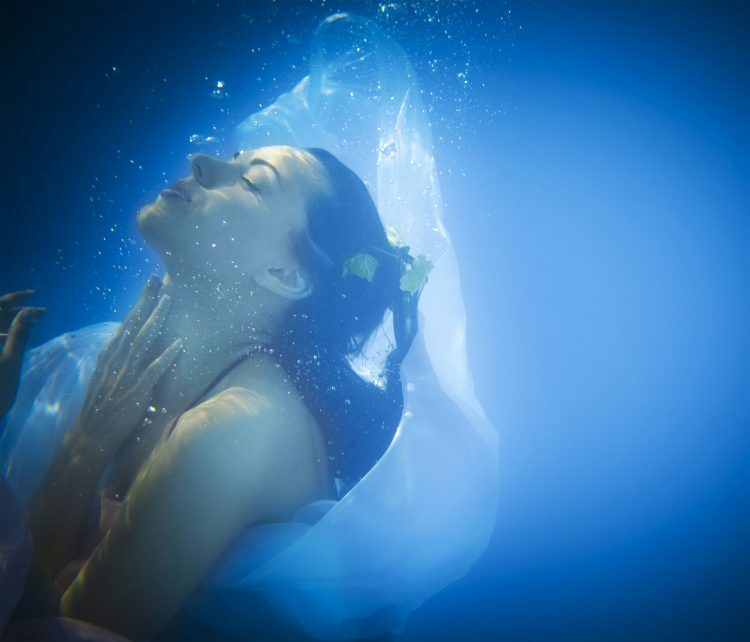 Binaural audio – with the right concept, script and actors – can trick the brain into believing you have time travelled and are experiencing a new reality – even though the sights around you haven’t changed. Virtual reality can take you anywhere, to be anything, moving through time and space. Haptics bring an extra sensory dimension, smells can be hugely evocative and all of it can be combined to create spine-chillingly powerful effects. It’s a very exciting prospect. But perhaps a little overwhelming. There are so many possibilities and so much choice of kit it’s easy to be blinded by the tech and lose sight of what it is you want to achieve and what suits your space. There are four key mantras that we at PastPorte tend to work by – and live by. They work for us. And we think they’ll work for you too. Rarely is the success of your immersive experience going to depend on how much you’ve spent on the kit, how many microphones you’ve used, how many speakers you’ve plugged up or how many projectors you’ve got going. It can be hard to stick to keeping it simple. Especially when seduced by constant tech innovations. One of Pastporte’s most successful installations used just two simple resonant speakers, purchased in a domestic high street store, loaded with a pared-back atmospheric soundscape. Also we try and use silence. Lots of it. The brain gets overstimulated with a constant assault from sophisticated, exciting sounds and starts to regard them as normal. Binaural audio works best if it’s a constant surprise. But to achieve that, the brain almost needs to have forgotten what it sounds like. So, in any story, we build in sections that are silent or low key to create contrast and keep up the surprises. We think that makes an experience more immersive. 2. If there’s something to see, keep your visitors eyes up. Encouraging visitors to look at a screen and use a multi-media guide is great if there’s nothing to see at your attraction. But most museums and attractions are all about feasting your eyes on what’s around you – aren’t they? So why would you want to distract from that by asking your visitors to look away from your visual treats and instead, get their eye candy from a screen (especially for kids when their parents are likely to feel they’re too screen-dependent already) ? If there’s something to look at, let them look at it but augment their experience in other ways. 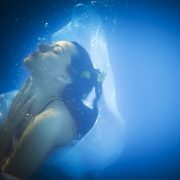 Here too binaural audio can build your experience into a full immersive, time-travelling wonder. Especially if it’s the right audio. 3. Build on your strengths. Make your artefacts the centre of your immersive story. Turning an artefact into an interactive, immersive exhibit is a neat trick – one we’ve regularly used at PastPorte. Using a gorgeous, if knackered, bellows camera, installed headphones and an AV screen, we transported viewers to Antarctica, 1915. The leather bellows (with associated musty smell), mahogany and brass housing all started to do our work for us – before the viewer had even begun our immersive time travel experience. A visual, tangible object that can tee up the brain for what is to come adds extra impact. And the added bonus of using an artefact that already feels part of the period and is appropriate in the setting means the whole experience is more integrated yet also more surprising. Whatever approach you choose, and however you choose to deliver it, it’s the content that will make your experience stand out. However great the tech set-up, if the content doesn’t tell the story well, no-one will remember your experience. Spend time devising the right story and the right approach to telling that story, and constantly review both as you develop the experience. It can be easy to lose sight of the most important thing in amongst the glitz of all that fabulous, shiny kit. But it’s the content that will live on when the latest tech fashions have come and gone. Last year, we were lucky enough to get immersed in the world of virtual reality, working on a couple of projects with BBC R&D. 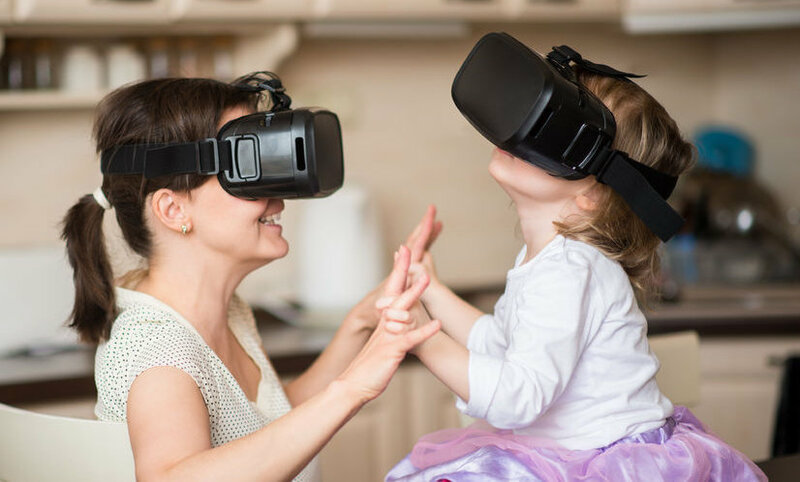 The process of planning, creating and watching the public reaction to our work has proven one thing – successful VR installations are about much more than the content and the technology to deliver it. Audiences need to be intrigued, feel safe and be able to share. So we decided to share our top tips. 1. Don’t forget about the ‘before’ experience. A sense of anticipation adds to the adventure, just like that time when you were in the queue for the rollercoaster. 2. So….create a scene-setter to help build the before-experience excitement. It doesn’t need to be big or expensive. Something that can work as a tangible tease. 3. Let your viewer sit down. They’re less likely to fall over. 4. Let them have their feet on the floor. It’ll reduce the likelihood of motion sickness. 5. Give them a seat that has a full 360 swivel so they can fully explore your beautifully crafted 360 virtual world. 6. Give them some leg room. That way they’re unlikely to have that awkward moment of bumping knees with a stranger. 7. 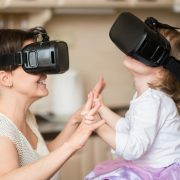 Create a safe space for them to enjoy the VR. A cubicle/enclosed area that is setup for VR viewing means they can be comfortable reacting and fully immersing themselves without feeling like they’re looking like an idiot. 8. Find somewhere to stash their bags/belongings safely so they’re not distracted from their adventure by worries about having their stuff nicked. 9. Consider introducing smells, haptic (vibrating backpacks, temperature changes) to add extra sensory dimensions. 10. Have a great backdrop or scene for your VR that will be a great selfie/tweet opportunity and get people spreading the word. If you’re looking for some practical examples of what we mean, have a read of our Turning Forest @Tribeca case study.